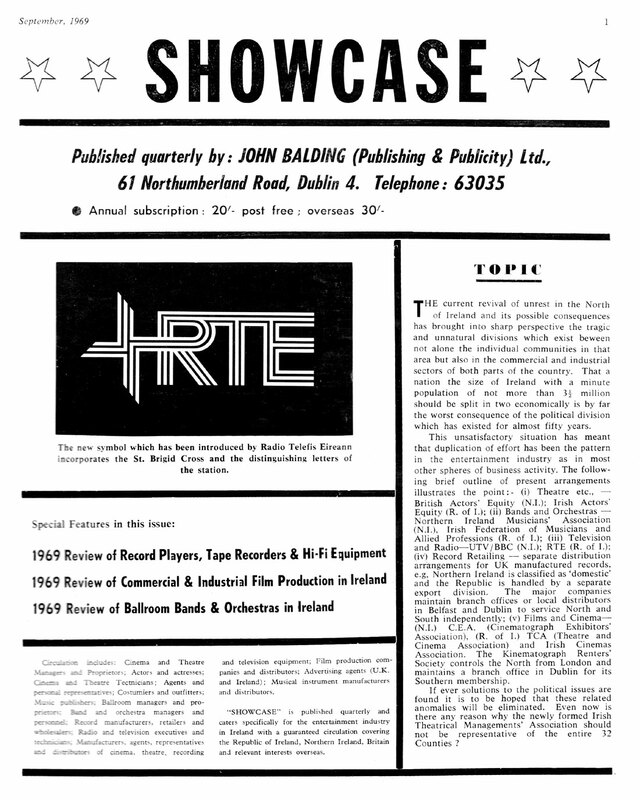 Showcase magazine covered Irish Theatre, Cabaret, Films & Cinema, Ballrooms, Bands, TV, Radio and Music Retailing. I don’t know a lot about the history of the magazine. I have a number of issues from 1967 through to 1969 but they contain no volume numbers. The last issue I have is for July-Sep 1971 by then it had changed from monthly to quarterly. With a gloss finish, it had typically 36 pages, plenty of showbiz black & white photos, reviews and adverts aimed at the Industry. 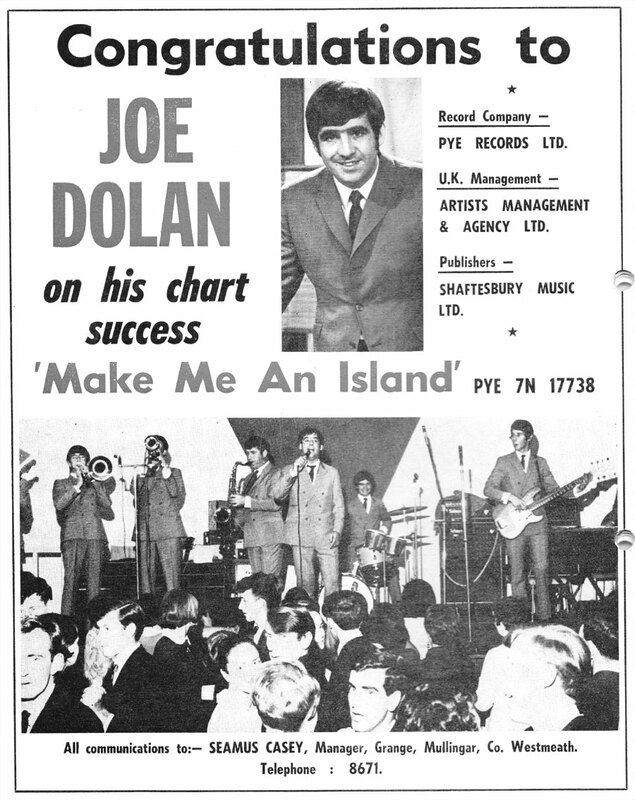 Like our featured issue here, from September 1969, the front cover always featured a full page advert. 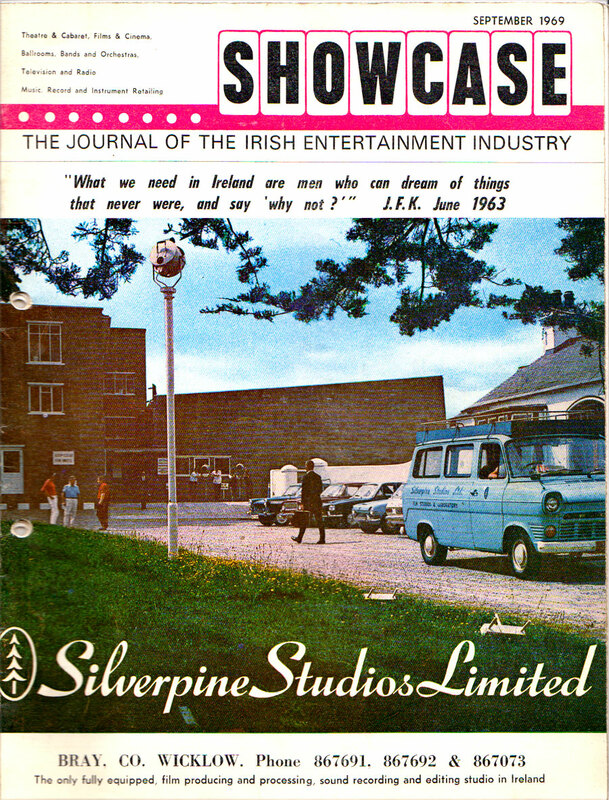 Does anyone know what became of Silverpine Studios in Bray? Did it merge with Ardmore? first picture,I remember that make from when I was very young. We grew up in Silverpine and I still have that brochure that was featured on the front cover. 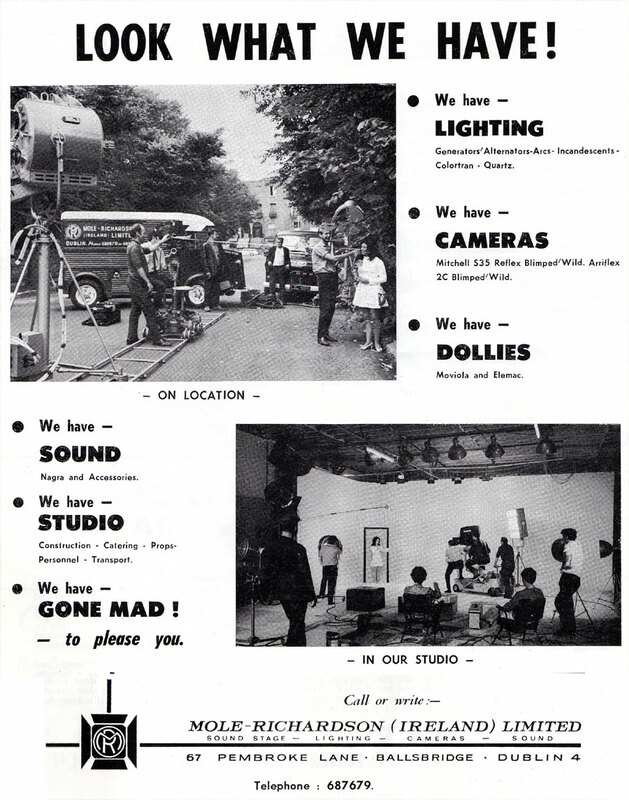 The studios were set up by Bill Stapleton in 1963 and was mainly a recording studio then. 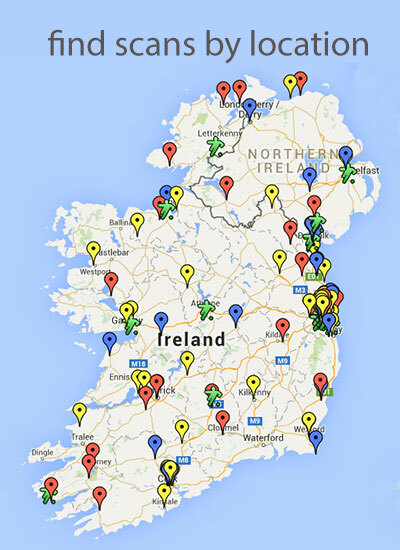 All of the Showbands recorded there at that time as did many other bands and artists. the warmth and friendliness of the family run business.Some names that come to mind were Peter Sellers, Richard Burton, Liz Taylor, Burl Ives, Richard Harris.The industry went into decline in the mid 70’s and the studio was sold and is now a church. The processing and editing continued for a short time after as Silverpine Film Services and ceased in the 80’s. The House is now owned by the Eastern Health Board and is part of the Silverpine Estate. Great informative comment, Alan. Thanks very much for posting.